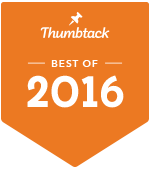 So as some of you might already know, I am a trusted member of Thumbtack. Thumbtack has been too good to me helping me expand my business by reaching out to more and more clients. It's also a great way to meet working professionals in or around your area for any special events or project.s. This time they've out done themselves by featuring my profile and services on their site. Check out my spotlight interview by clicking on the link highlighted.